It’s a pretty damn awesome day, to be sure! Celebrating your love with the people you love. That’s a damn fine reason to throw a badass party! But you’ve got an amazing marriage and a lifetime of adventures to look forward to. A whole lotta ‘best days’ ahead. I can’t wait to have a blast with you celebrating this one. 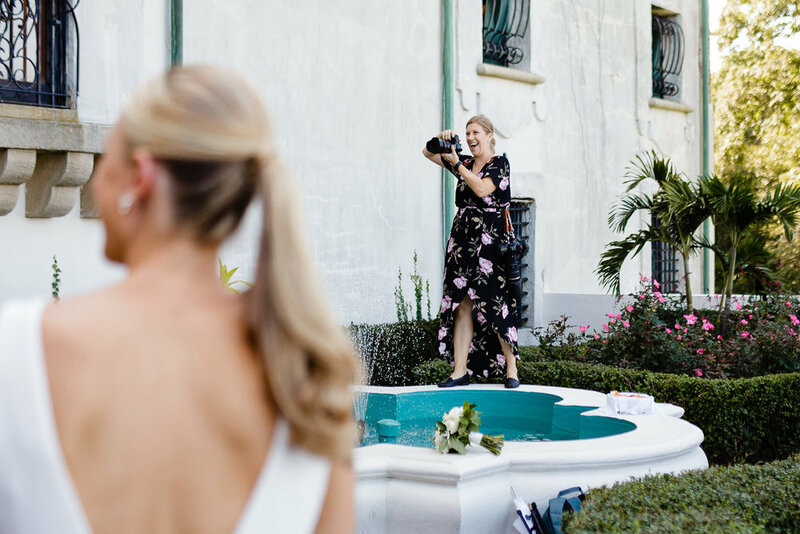 I’m Sarah, the owner and photographer behind Sarah Bode-Clark Photography. I LOVE weddings. But I feel like the expectations put on them can sometimes cause unnecessary stress and frustration, when it should be a joyful experience! So I promise to be inclusive, empowering, encouraging, and an advocate for your marriage and your wedding plans. I promise to be a positive presence beside you during planning and on the day of the wedding to help you stay grounded in the moments. And I’ll definitely hit your dance floor hard with you at the reception. Let’s kick up our heels and have some fun! When I’m not celebrating marriage with incredible couples, most of my time is spent thinking about food: what to cook or where to eat next—the foodie in me runs deep. I love going to the movies (but only if we get a large buttered popcorn, please) or to the theatre. My bookshelves are bowed due to the fact that I am a bit of a book junkie and never want to get rid of one that I love (or even one I kinda like). On days off you can find me meandering through the streets of NYC with my husband and a large cup of coffee in hand, often with no real destination in mind. We do know, however, that we’ll probably end our day sipping a Manhattan discussing recent books/movies/tv shows or planning our next vacation. I never get tired of hearing about your fave meals or seeing pics of your furbabies, so send these my way when we start chatting!